Research has shown that the mineral selenium is a powerful tool to ward off certain types of cancer including, breast, stomach, esophageal, liver, prostate, and bladder cancers. Most people intake half or less than half of the daily recommended amount of selenium daily from dietary sources. The recommended daily amount is 250 to 300 milligrams. People, on average, get 60 to 100 milligrams daily. Daily supplements may be advised if you are not getting your recommended amounts of selenium. Selenium is a metal that is chemically similar to sulfur. Because of its silvery color, it was named after the ancient moon goddess, Selene in 1817. Selenium was first used to treat dandruff. Today, it is used in conjunction with vitamin C, vitamin E, and beta-carotene to block the chain reactions in DNA that ultimately lead to cancer. The mineral also helps prevent tumors by killing the cancerous cells before they can replicate. In addition to preventing cancer, selenium can slow cancer. When used with vitamin A and vitamin E, selenium reduces the toxicity of the chemotherapy drugs. It also enhances the effectiveness of treatment by minimizing damage to healthy cells. Since selenium is such a powerful anti-cancer mineral, people should include it in their daily diet. Some good sources of selenium are: seafood, poultry, mushrooms, egg yolks, garlic, onions, broccoli, asparagus, tomatoes, brazil nuts, red clover, and whole grains. Americans often don’t get enough selenium because of the way food is processed before to going to the grocers. Consumers are encouraged to purchase organically grown products or take a daily supplement to increase their selenium levels. 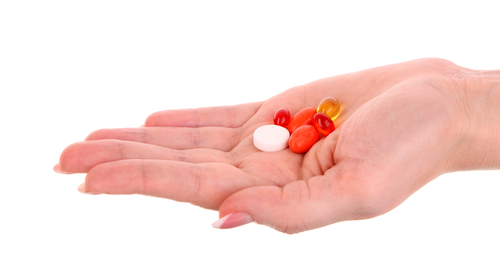 Consult with your doctor before taking any supplement. I’m Dr. Randy LaFrom, a Cupertino and San Jose dentist, and I encourage my patients to maintain a balanced diet, not only for their oral health, but for overall health as well. For proper oral health, the American Dental Association recommends you visit your dentist every six months for a thorough cleaning and check up. If it’s time for your six-month dental visit, call my San Jose dentist office at (408)996-8595 for an appointment. ~ by cupertinodentist on March 18, 2011.